The artists of Rambo Circus contributed their One-Day Salary and with the help of Circus Owner, Mr Sujit Dilip, donated a sum of Rs. 51,000/- towards the Chief Minister's Drought Relief Fund for the drought affected areas of Maharashtra. Rambo Circus has always come forward for the betterment of not only the Circus but also the Society. 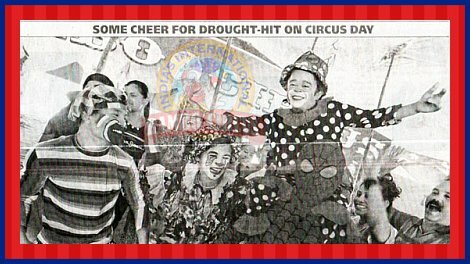 Circus clown Biju Nair said that the collective efforts of people are always helpful when others are in need. This Noble Act was widely appreciated in the media.